By entering this site you agree to abide by the terms and conditions of use thereof. The placement of an order either online or by telephone indicates your acceptance of these terms and conditions. These terms and conditions are governed and constructed according to UK Law and EC Directives. These terms and conditions do not affect your statutory rights. Price and availability are subject to change without prior notice. All goods will remain the sole property of TheVikingStore.co.uk until payment is received in full. All products and service are subject to availability and may be withdrawn from sale at any time. If an ordered product cannot be supplied for any reason we will offer an alternative model (if available) or give a full refund. You must be aged 18 or over to purchase any of the items on this website. The flintlocks and replicas on this website cannot, and are not made to fire. They are designed for display purposes only and are constructed from a material unsuitable for use in a firearm. These items are sold for decorative use only. Please be aware that whilst it is not against the law to own a knife - sword etc, it is an offence to carry one in public without good reason. Remember, offences with replica weapons carry the same penalties as with real weapons. For further information regarding UK law please refer to : Offensive Weapons Act 1959, Offensive Weapons Act 1996. Details can be obtained from HMSO or viewed at www.hmso.gov.uk. (http://www.legislation.gov.uk/) TheVikingStore assumes no responsibility from either intentional or accidental misuse of any items. With our competitive prices, we will beat any of our competitors prices in the UK providing the following. 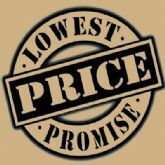 That it is a regular price from the competitior (Not an item on special offer, or clearance) It also cannot be used in conjunction with special promotions, or offers (vouchers, promotional codes etc) on our website or instore shop. It is the same item; some items may vary, or look the same, but there could be a huge difference in quality, or type (an example, one helmet might be 14 gauge steel, and another might be 18 gauge steel). The item is not damaged / is in the same condition, we cannot match prices with second hand, or used goods. Also -The item must be sold from a retail store, from the United Kingdom. The item must be in stock and available to order from the other retailer. Thevikingstore.co.uk have made every effort to ensure that all product information held on this website is accurate. All information, including images and specification, is derived from third party sources such as manufacturers and brochures. THEVIKINGSTORE.co.uk WILL ENDEAVOUR TO SUPPLY YOU WITH THE COLOUR, SIZE AND QUANTITY OF THE PRODUCT YOU ORDER, however some products cannot be guaranteed such as Drinking Horns etc. Products are subject to being discontinued by manufacturers without notice. If you order such a product, we will contact you and offer the replacement , if available, or refund the purchase in full. Spray the silicone directly on to your latex weapon and work it on the entire surface. Avoid leather handles and other non-latex or varnish elements. Don't worry, you can never use too much silicone. U.K. Law forbids TheVikingStore.co.uk to sell anything deemed to be a weapon - such as a sword, axe or dagger to anybody under the age of 18. If you are under the age of 18 we will not process your order. If purchasing a weapon from our site you are confirming that you are over 18 years old. In addition to this, purchased weapons (Re-enactment, Display, or Ornamental) may be followed up with the request of a telephone call, to ensure the weapons are not being sold to anyone under the age of 18 years old. If this process is pursued, TheVikingStore.co.uk holds the right to delay the order until the satisfactory circumstances has been met. SOLO card payments will not be accepted over the internet for weapons sales. Please note: you do not have to be 18 to purchase clothing, armour, wooden wasters (training swords) LARP Weapons, or anything not deemed a weapon by U.K Law. TheVikingStore.co.uk holds the right to contact the buyer to ensure a weapon is not being bought by anyone under the age of 18. This website supplies some of its products in stock form, and others to be manufactured. However, an estimated dispatch time is given on each product. MANY OF OUR PRODUCTS ARE MADE TO ORDER, AND IN THIS CASE, CUSTOM ORDERS MAY HAVE A LONGER DELIVERY TIME THAN NORMAL. PLEASE FEEL FREE TO CONTACT US ABOUT THE REQUIRED DELIVERY DATE ON SALES@THEVIKINGSTORE.CO.UK. IN THE EVENT WE CANNOT PROVIDE THE PRODUCT WITHIN THE GIVEN TIMEFRAME, WE WILL INFORM YOU AS SOON AS POSSIBLE AND REFUND YOU IN FULL. All credit card numbers are encrypted in the software when the order is placed using 128-bit encryption or in the case of Global Payments 256-bit encryption. Thereafter payment is collected through our online credit card processing partners, Global Payments and Paypal. PLEASE DO NOT EMAIL YOUR CREDIT CARD DETAILS, but please do use card facilities on our site, we recommend Global Payments for the 3D secure option. We accept most major credit and debit cards through our main payment gateway Global Payments, which uses 3D secure. Credit/debit card payments are taken at point of order on all sales. We also require the cardholder's full details including name, address and telephone number when accepting a credit/debit card payment. These must match the exact details registered with the card issuer. Incomplete or incorrect details will result in a delay in processing your order. We can also take payment through Paypal, in the express option. In the event we are unable to fulfil an order due to insufficient stock, the customer will be notified of the delay and, should this prove unsuitable, a full refund will be given. A refund can take an estimated 14 days to be processed. If you have requested a refund on an order, please allow this time scale to pass (after receiving the refund confirmation email) before contacting us to confirm the refunds status. Please note that all credit orders that are cancelled when the products are available will be subject to an administration charge of £30.00 at the Managing Directors discretion. We usually only follow the £30.00 Administration charge if the order was placed in a position which took up excessive time of TheVikingStore.co.uk. We do not offer refunds on Custom or Made-To-Order items once the order has been given to the craftsman, as of that point the funds have already passed hands to the craftsman for the item to be made. You can place an order with us via the website only at present. By submitting your order you are offering to buy goods and allowing us to use your personal details for the purpose of supplying those goods (Including passing your details onto couriers and other subcontractors). All online orders are confirmed as received through sending an auto-generated email. We reserve the right to decline your order. We will contact you by telephone or email regarding delivery, delays or security issues. We will not be responsible for compensating you for any other loses you may suffer if we do not supply the goods. By purchasing any product or item you are thereby agreeing to these terms and conditions. Our Main courier is Parcel Force (www.ParcelForce.com) . Shipping costs are calculated by the weight of the products ordered and dimensions. We do not offer a timed delivery service. Deliveries are generally between 8:00am and 5:30pm, Monday through Friday. We are not able to be more specific on courier delivery times. Saturday deliveries can be arranged on certain products for an additional charge. We do offer a tracked delivery service with both City Link and Parcel Force, please email us if your dispatched order did not come with a Tracking ID and we will make sure to email it to you ASAP. The 48H delivery time does not mean you will receive the order within 48 hours of placing your order with us, it means that taking into account the estimated dispatch time (in working days) when we receive the item from one of our suppliers to when we send it to you. We are not a warehouse and do not house each item in stock many are made to order so times vary on completion of orders. YOU CAN ALSO CHOOSE TO COLLECT YOUR ORDER IN PERSON FROM THE BUSINESS ADDRESS (AT THE TOP OF THE PAGE). PLEASE LET US KNOW IN ADVANCE IF YOU WISH TO DO THIS. If you are not happy with your goods, you have a 14 day cooling-off period in which to return the unwanted items. This begins the day after you receive your goods. The items must still be as new we may ask for Photographic Proof of the items condition as to make sure that it is in the condition we sent it out in and to file them for documentation of return, with this we are not accusing you of damages but we have to make sure especially when it comes to the LARP Weapons and Latex Products. All returns must go to the address below at your cost (This can vary in cost depending on what you have ordered). You will receive a refund for the cost of the items returned, but not shipping costs or any other additional charges after we have received the items back at the store. This does not apply to custom or made-to-order (manufactured to order) items. This is in accordance with your statutory rights. Due to a large influx of failed deliveries we will be sending our packages by Parcel Force. If the first delivery attempt fails (they make two delivery attempts) we hold the right to re-charge delivery as it costs us to send those goods out again once they have returned. If goods arrive in a damaged condition you must make a note of this on the couriers delivery consignment note and contact us immediately. If you order a product that is out of stock or delayed from the manufacturer we will contact you to make you aware of this. From here you can decide to proceed with or cancel the order. The time scales quoted on such products are estimated time scales. We strive to be as accurate as possible with regards to estimated back order time scales. You have the option to cancel an order that is on back order at any time and your card will in turn be refunded in full. Products delivered which are 'damaged' should be notified within 14 days from the delivery date. We will arrange the uplift of the goods. Upon receipt of the goods and confirmation of the fault you will be offered either a replacement, a repair or full refund, providing the item is complete with all accessories and in its original box and packaging. If the product is not deemed faulty the goods will be returned to you. You will be liable for both the uplift and return carriage charge. This returns policy does not affect the buyer's statutory rights. We do not provide an exchange policy on non-faulty and wrongly purchsed goods. If an item is returned for either of these reasons we will return the item at the customers cost with no refund. THEVIKINGSTORE.CO.UK TAKES NO RESPONSIBILITY FOR ANY PERSONAL INJURY WITH THE USE OF IT'S PRODUCTS. PLEASE USE OUR PRODUCTS RESPONSIBLY, AND MAKE SURE THAT YOU OR ANYONE USING YOUR ITEMS IS VERSED IN THE ASPECTS OF SAFETY. We are, at the end of the day, only Human, Elven, and Dwarvish, and unfortunately mistakes do happen. In such an event we will do everything we can to put them right.